This course is a comprehensive introduction to the ArcGIS platform, preparing users to take full advantage of its capabilities. Through exercises, learners get to map, perform analysis, do field data collection, manage field operations, and build apps. 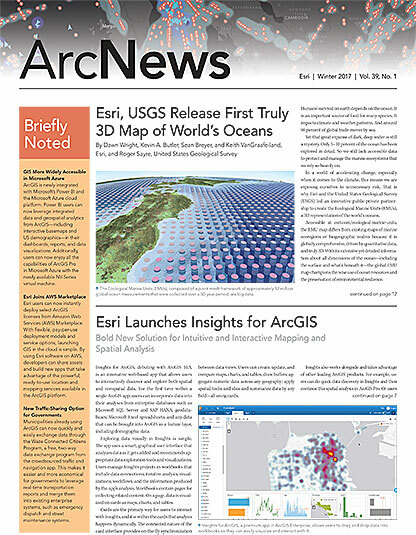 Such in-depth exposure to ArcGIS lets participants experience how organizations apply location-based insight to address common business challenges, streamline operations, and improve decision-making. Learn how to easily create intuitive, focused web apps without writing any code. In this course, users discover how to employ existing web maps, themes, and widgets to build apps that deliver the desired functionality, are accessible on desktops and mobile devices, and feature any organization’s branding. The Training website provides easy access to dozens of educational videos, including technical sessions presented at the Esri User Conference and other events. This video collection covers a wide range of topics and is a great resource for developers, GIS professionals, managers, and anyone who wants to better understand ArcGIS capabilities and workflows. View all available videos and explore the entire e-Learning collection. Discover Esri Technical Certifications is a free 30-minute training seminar packed with essential information for those planning to pursue an Esri Technical Certification. Program coordinator Tracy Lynn shares how the available certifications support distinct professional development goals; where to find exam preparation resources; and how Esri Technical Certification benefits recent graduates, established GIS professionals, and career pivoters of all persuasions.